Civilian and military communities alike must pursue innovative approaches to provide resilient, sustainable energy and water sources in the face of global challenges such as climate change, increasing population density, and ever more complex and vulnerable infrastructure systems. Equally compelling is the need for reliable energy supply to remote locations – whether they are military bases, humanitarian refugee camps or communities that have no access to electricity. We emphasize technological pathways and options that do not rely on a long supply chain and those less reliant upon fossil fuels. To the extent possible, it is ideal to focus initially on highly efficient building, equipment, and infrastructure systems to reduce energy demand, and to harvest energy available on site through energy recovery processes and renewable power generation before applying other power sources. Meeting the needs of these communities requires a focus on the development of next generation transmission and distribution infrastructure, in coordination with effective local distributed generation. The concept of a smart energy network that integrates and exploits the power of information and communication technologies with advanced decision-making tools will be an important aspect of developments. Systematically engaging and building understanding amongst stakeholders – from decision makers and regulators, to utility operators, community leaders, and ultimately to community citizens – will be critical to building and sustaining portfolios that meet the diverse acceptability criteria for these next generation energy systems and technologies. 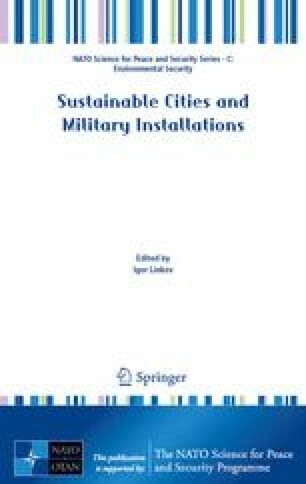 The authors are grateful for the valuable discussion and insight gained from the participants of the Energy Working Group during the NATO Advanced Research Workshop “Sustainable Cities and Military Installations”, held in Hella, Iceland, 3–6 June, 2012. The authors would especially like to thank the workshop organizers, Dr. Igor Linkov and Dr. Abou Bakr Ramadan. Mental Modeling© was created at Decision Partners by leading cognitive scientists in 1990. Permission was granted by the USACE Chief of Engineers to publish this material. The views and opinions expressed in this paper are those of the individual authors and not those of the US Army, US Department of Defense, or other sponsor organizations.